Every fall, community members, Masonic Leaders and family members gather together to spend time at the Masonic Villages to learn about what they have to offer, and to promote their programs. Food and entertainment are provided to ensure that everyone enjoys their visit. On September 17th, at the Masonic Village in Sewickley, PA, the Community Day Festival will be held. This gathering helps introduce the Masonic Family to the Pittsburgh community. Entertainment, food, crafts and more will available for a small fee. Members of the Masonic Youth Groups will be present to introduce their programming. The following week, on September 24th, the Masonic Village in Elizabethtown hosts a similar event called Autumn Day. Members from Masonic Organizations and Youth Groups gather to promote their programs as well. Tables are set up for promotional purposes. Food and entertainment will be provided by the hardworking staff at the Masonic Village. A blood drive will be held for anyone that would like to donate. Food that will be available includes hot dogs, sausage, bean soup, french fries, ice cream, popcorn, cotton candy and much more. Masonic Youth Group members will also be afforded the opportunity to spend time with the residents of the Health Care Center to support the programs happening at Autumn Day. Both festivals are great opportunities to socialize within the Masonic Community and learn about programs you may not have known about. Everyone is invited to join in, so make sure you’re there. The PA Masonic Youth Foundation directly supports three Masonic Youth Groups – Pennsylvania DeMolay, the Order of the Rainbow for Girl’s in Pennsylvania, and the Order of Job’s Daughters in Pennsylvania. It also provides programs and assistance to the Prince Hall Grand Lodge of Pennsylvania and Deborah Grand Chapter, Order of the Eastern Star, PHA, with their Masonic Youth Groups – the Knights of Pythagoras and the Ruth Mitchell Tucker Girls Youth Department. These five Masonic Youth Groups get together several times throughout the year to share ideas, discuss projects, and plan activities together. 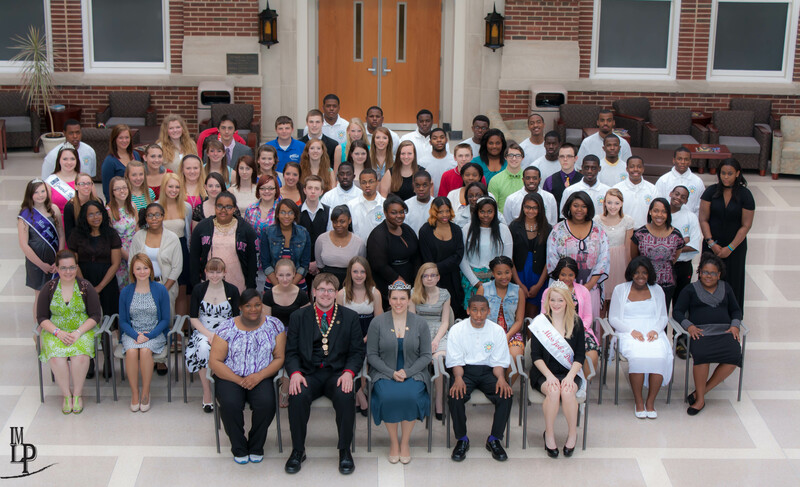 On the weekend of April 25 – 27, 2014, the PMYF hosted the five Masonic Youth Groups at Patton Campus, in Elizabethtown, PA, for a Masonic Youth Unity weekend. The event, planned by the Youth Leaders of the groups involved, covered important topics such as membership, understanding each organization, and planning joint events. Fun activities were also included, like a talent show and board games. While the young people worked through their program, the adult leaders of the groups also met to discuss best practices and the latest challenges that come with working with youth. The weekend was very productive and well received by all. Thank you the Masonic Family in Pennsylvania for providing such an excellent opportunity for youth from across the Commonwealth to share ideas. Special thanks to Mr. Danny Bryant, an adult leader with the Knights of Pythagoras, for taking photos for the weekend and providing them to PMYF for use.